SASSAFRASS was built in Vietnam in the early 1960’s for a US navel officer. She was originally gaff rigged, fore and main. She spent most of her life in southern California in Emerald Bay, owned by a Catalina harbor patrol officer and his wife and several subsequent Vietnam vets. She was purchased in the early 1990’s by retired 90-year old shipwright Worth Brown of Seattle Washington, the builder of HOOT MON, winner of the 1954 Havana cup. Worth, his son and son-in-law sailed her up to Seattle where Worth began a refit to take her to Alaska. At age 97 Worth was no longer able to get around the boat; we purchased her and let Worth stay on board until we were able to move from southern Mexico. Worth died aboard the vessel before we returned, a happy place for a shipwright to cross the bar. We lived aboard for a year then contacted builders Joe Bakketun and John Thomas of Ballard, and Naval Architect, Tad Roberts of Gabriola, BC. A 10-year refit followed, taking the vessel down to a bare hull. 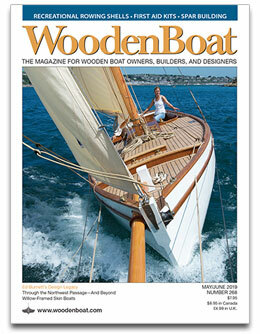 with construction of a new interior, house, pilot house decks and rig. 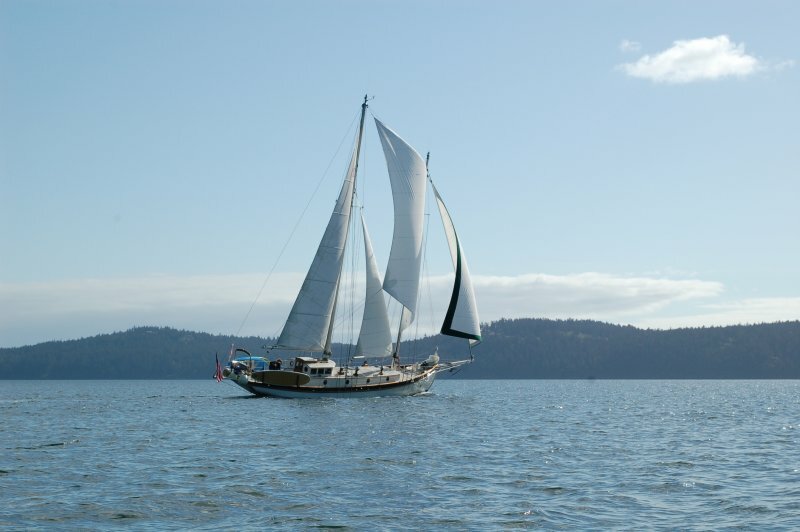 We currently live in the San Juan Islands in Washington with plans to cruise the vessel south.